South Shields Academy made a winning start to life in the ECFA Category One Premier League as they hit seven goals past York College i2i on Wednesday. The young Mariners won 7-2 at Silksworth Sports Centre and put in a performance which left joint managers Lee Picton and Graham Fenton delighted. 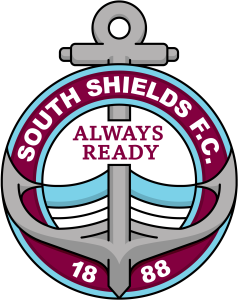 Michael Colquhoun and Max Cowburn both scored twice, while Will McCamley, Lewis Orrell and Sam Hodgson were also on target for Shields. The game was held at the same time as a friendly fixture involving more SSFC Academy players against a Durham University XI at Maiden Castle. Shields came from 2-0 behind in that match to win 4-2 with goals from Brad Allen and Josh Elcoate, along with a brace from Joe Ames. In the match at Silkworth, the Mariners struck first and, after York equalised, the hosts secured victory with a run of five goals to go 6-1 ahead. York netted a consolation but it was to be Shields who had the final say as they scored their seventh to wrap up a comprehensive win. Picton was pleased with the way they coped with the difficult conditions. He said: “We were really pleased with the win. “We had a bit of a slow start in what were testing, windy conditions, and it took us 15 to 20 minutes to get our basics right and adapt to the conditions. “We got better and better as the game went on, and some of our attacking play and movement was an absolute joy to watch. “We put together some fantastic team moves, and the only disappointing aspect of the game was the two goals we conceded, because they were particularly sloppy. “That is something we will need to tidy up moving forwards. SSFC ACADEMY: Armstrong, Biwer, Cooper, Thompson, Patterson, Bexton, McCamley, Scott, Annang, Guy, Cowburn. Subs: Onarbay, Carney, Orrell, Judson, Hodgson.